We wish an arbitrary transformation between real and virtual can be achieved in an environment full of creativity and innovation. 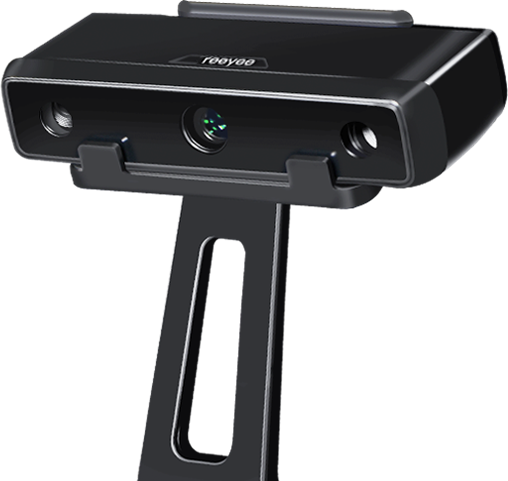 With Reeyee, a very cost-effective 3D Object Scanner adopted RAY2 high-precision optical photography, all the real objects in the real world can be scanned and become the virtual parts composed our big ideas. 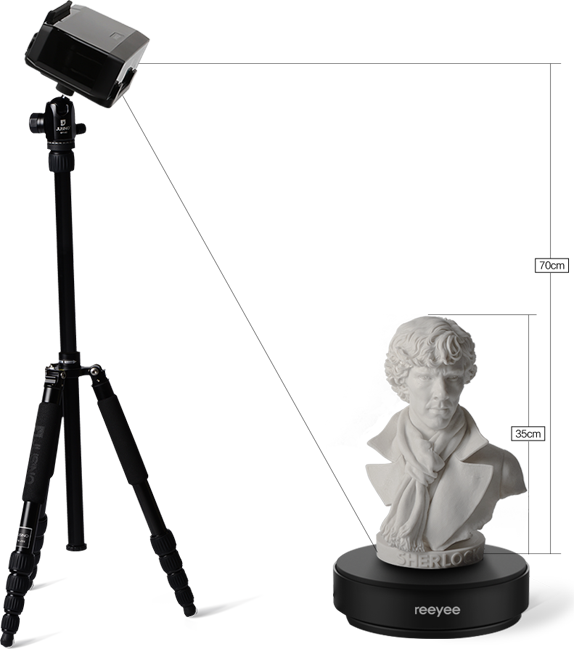 Also, our big ideas can be 3D printed into real world.That’s the arbitrary transformation we wished and we believe with Reeyee 3D Object Scanner, everyone can be a creative designer and maker. When you start Reeyee, you are ready to begin a beautiful journey of scanning and creating. After a bright white light is projected out, you can immediately see a 3D image stands vividly revealed on the screen. 100μm scanning precision makes every detail clear and vivid. 80s! What an amazing scanning speed. That means just a few twinkles, Reeyee 3D Object Scanner can finish the whole scanning process. By the way, its weight is only 7kg. 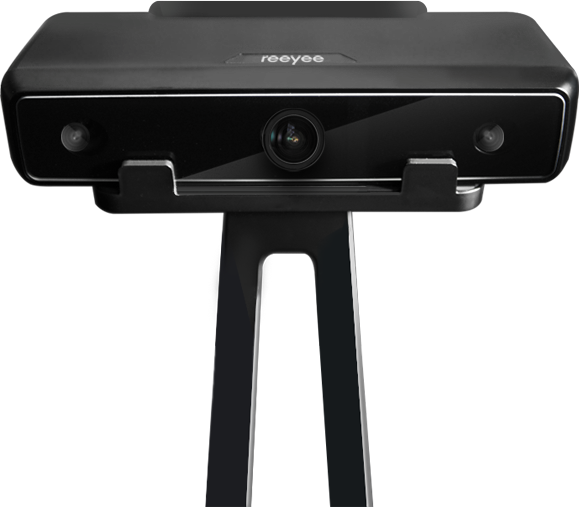 Reeyee brings you a radically different scanning experience. You can choose different scan modes in order to meet different scanning needs. Choose automatic scan mode, you can scan targets with 20cm. Choose free scan mode,the scan volume can reach as large as 70x70x70cm. What’s more amazing, you can collage the models by yourself. Scan where you want and collage what you need. Reeyee’s original intention is to compliment the true record of everything. Therefore, we try our best to make Reeyee scan every color, every texture and every construction of the thing to reveal its pure nature.